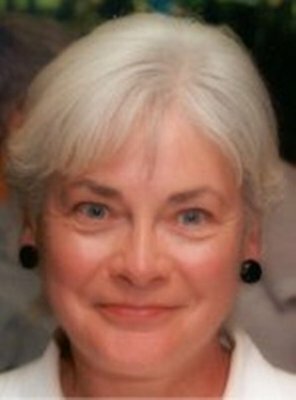 Irene Wotherspoon is an Honorary Research Fellow in the Department of English Language. She has been involved with developing the Historical Thesaurus of English, since 1969. The Historical Thesaurus of English project presents the vocabulary of English from Old English to the present day. Words are arranged according to their meanings and dates of use allowing users to explore connections between words. It is based on the second edition of the Oxford English Dictionary and was completed and published in two volumes in 2009. Wotherspoon graduated with an MA and and MLitt (1969) from the University. Her thesis was titled "A Notional and Historical Classification of Two Parts of English Lexis". She joined the English Language department as a Research Assistant on the Historical Thesaurus project. Her responsibilities included collaborating with technical staff in resolving issues raised by development of the electronic thesaurus database. She also taught Old English and Level 1 tutorials. Since 1988, in addition to editing the Historical Thesaurus of English material, she has been responsible for training and supervision of the research assistants working on this project and for the development of the electronic database. Her present research interests are semantic change, various cognitive aspects of language, and folk etymology.